JOED VIERA/STAFF PHOTOGRAPHER-Royalton, NY-Last Thursday and Friday, Desales Catholic School students were treated to a field trip and they didn’t even have to leave their school. Students in pre-school to eighth grade saw an excellent representation of the stars when the Mr. K's Mobile Dome Planetarium set up in the School’s old library. 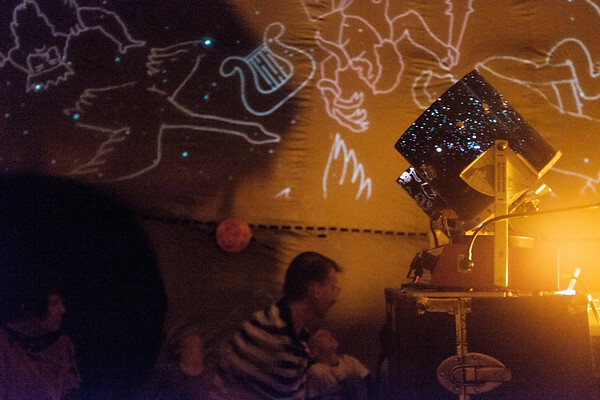 Planetarium instructor and owner Paul Krupinski led each class through personalized and instructive viewings of the night sky.